JD BizX is one of the latest One Page Joomla template you are going to find in the market. 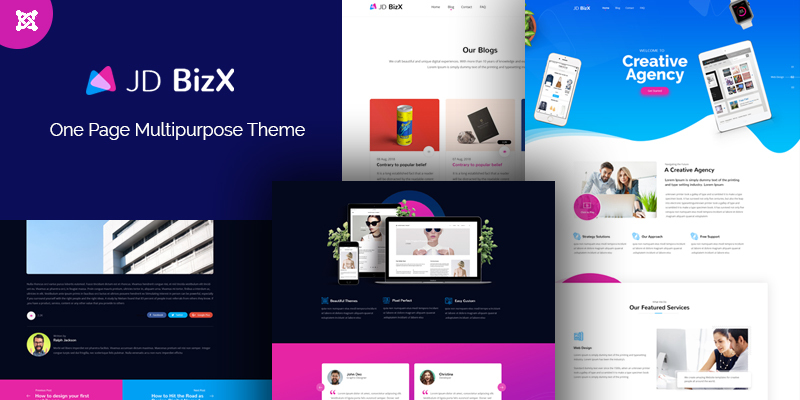 If you are looking for a theme which is fast, fully responsive, SEO optimized and inbuilt with a drag and drop functionality, then JD BizX theme can be your perfect choice. JD BizX follows the minimalist design and Block design approach. The template is very vibrant looking which makes it one of the best One Page Joomla Template. The JD BizX takes a decidedly less loading time which helps your website to load fast in your user device. The things which makes a template better is their features and the customizable options they provide. Let’s have a look at the various features, JD BizX provides which enhances the quality of the template and make it one of the best Joomla template out there. We all know that how much work is easier with a Drag and Drop Page builder functionality. 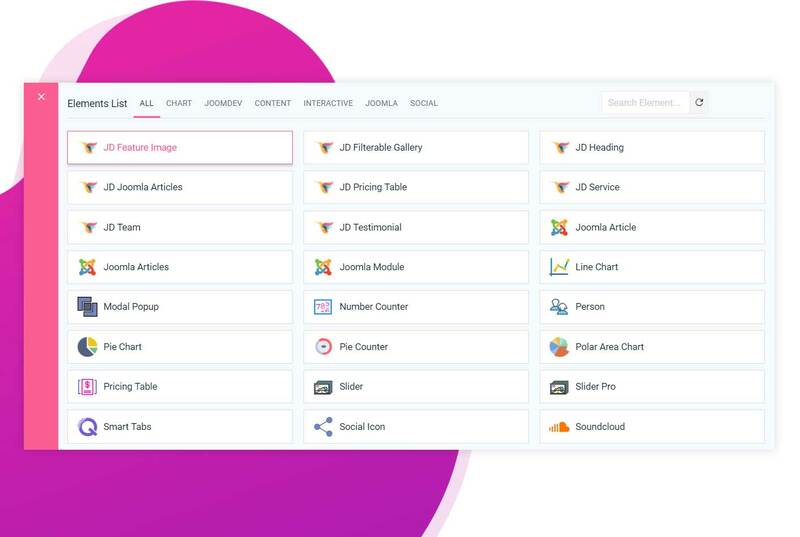 JD BizX one page Joomla template comes with drag and drop page builder integration which makes it easy to add or customize all the pages of your site. We are using Quix Page builder to develop this template. There is endless layout possibilities which you can create with the Drag and Drop page builder all depends on your creativity. JD BizX One Page Joomla Template comes with an Inbuilt Page Builder which allow you to add content sections easily with just simple drag and drop. There is no need to write long HTML and CSS Codes, just simple use the addons, put your values and you are done. The Customs developed add-ons for Featured cases also enhance the productivity and helps you to showcase your case, your action and the results in a more attractive way. JD BizX is also integrated with the most powerful CSS framework Bootstrap 4 and comes with a powerful admin panel. To increase its usability and flexibility, there is a Helix Framework which is integrated within the JD BizX template. This powerful Admin Panel of the JD BizX One Page Joomla Template allows you to manage every aspect of your website ranging from basics like logo and preloader to advanced likes layout builder, CSS, JS compression and setting import-export at one place. With the rise in increase in mobile devices, everyone prefers to opt for a fully responsive theme, and JD BizX completes this requirement. JD BizX is a fully responsive one page Joomla template best suitable for agency or business websites. Responsive templates are also preferred by the search engines and it can increase your user engagement exponentially. No matter from which device your customer visit your website,, with JD BizX you can be assured that your website is responsive in all that devices. JD BizX one page Joomla template developed with latest Bootstrap 4 framework which extend its flexibility and functionality. We all know that how popular is the bootstrap framework and what qualities it offers. By integrating JD BizX with Latest Version of Bootstrap the template gets its vibrant and sooth looking Images which always helps in user retention and drive more customer towards your website. You all must be aware of the saying that Content is king, If this is the case then we can also say that SEO can be the Queen(kind of). JD BizX is fully SEO optimised which helps you in your fast ranking in SERPs. JD BizX follow all Google development guidelines and fully search engine friendly. So it is not hard to rank with this template and we all know the fact that how much ranking matter when there are lots of websites in the same niche. As we know that the Blogs are one of the most important part of a website. Blogs are very much important as SEO wise to as they are the place where the lots of traffic might become. 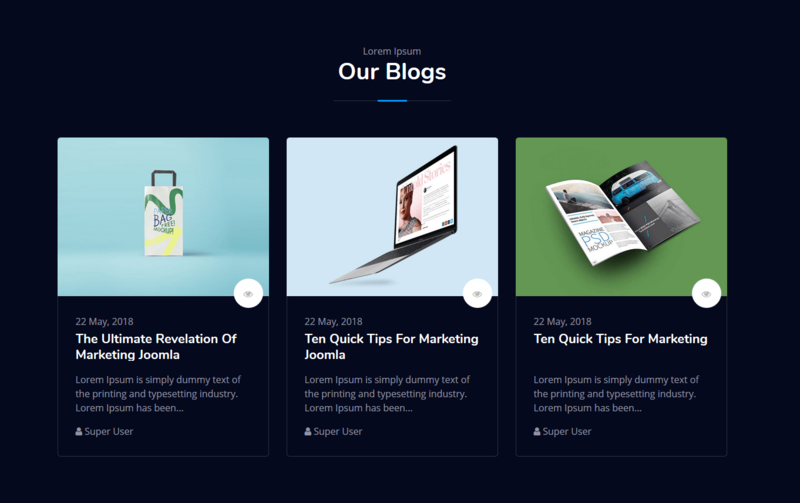 JD BizX allows you to fully customize your blog fully responsive blog layout with Joomla articles without the need of any third party plugins. A good typography and fonts always helps you to stick your user to the content. Also a good typography gives a clean and soothing effect to your website. With the JD BizX you can pick any fonts as per your taste. JD BizX is integrated with Google fonts and the template allows you to customize each and every heading, title, font, color as per your requirements. There is a famous saying that Quality doesn’t come free, Same goes with this theme. 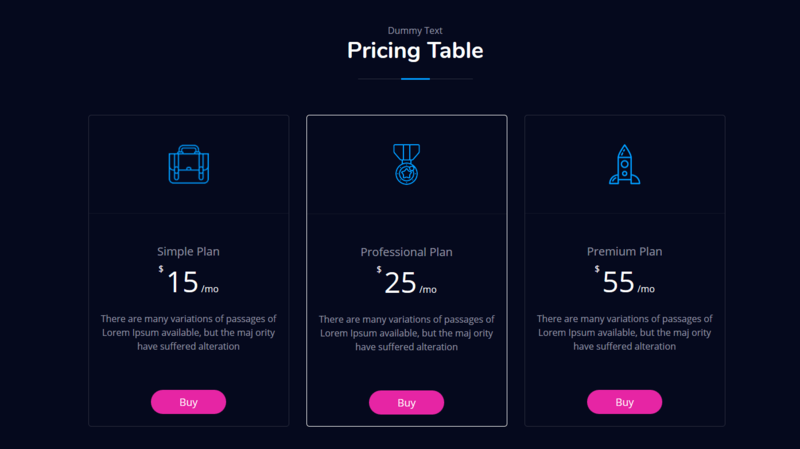 JD BizX is a premium theme, but it is worthy of your money. If you are serious about getting into the Joomla, then this theme can be your perfect choice. 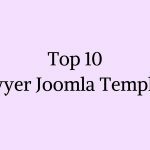 Here are a massive number of Joomla one page templates available in the market, but choosing a best one is still quite tedious. So There is nothing wrong in try something new which refresh your site entirely and give a kickstart to your business in the online world. Just check it out now, you’ll surely love this.